Keeping good people in an organization over time can often be a huge challenge for Indiana businesses. Many people think the grass is greener on the other side and they move for more money or different opportunity. Leadership at times can struggle to maintain a positive environment when there is a flow of turnover. Although more visible in retail businesses, it can happen anywhere and anytime to every organization. Instead of asking, “Why do employees leave?”; leadership, focusing on the core Dale Carnegie values must really ask how businesses can keep their people over the long term regardless of economic conditions or competition. The chance of promotion: Hard work should pay off with increased responsibility; just knowing that this is part of organizational culture means a lot to each employee. Competitive pay: People know when they are underpaid. It is very easy to research. Pay people what the market dictates and save funds elsewhere. Reward performance: Praise and acknowledgement are not always monetary. Paying attention to valuable employees is often enough. Training and coaching: Dale Carnegie of Central Indiana offers a complete menu for employee engagement from podcasts to our smartphone app. These tools work. Great teammates: There is always strength among equals. Employees who love working together can accomplish anything. 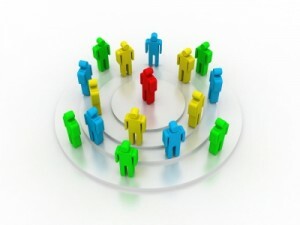 Communication: The secret sauce of any business is the ability to spread the word and keep everyone on the same page. Solid relationship with immediate supervision: This could be number one in why employees stay in an organization. The opposite often means a quick exit. The opportunity to truly contribute: Wing them up and let them go. Good leaders do exactly that every day. Careers are built upon solid organizations and longevity is a key ingredient to success. Let Dale Carnegie help you with both guidance and support. We do lead success.